​This Three-Wheel Electric Passenger Tricycle is equipped with a fully or semi closed capony, so it can be used for a variety of weather conditions and all seaons. With a super large loading capacity up to 500KG, and a large cargo box, it can carry multiple passengers. There are long benches for passengers. It can also be used for transporting goods. 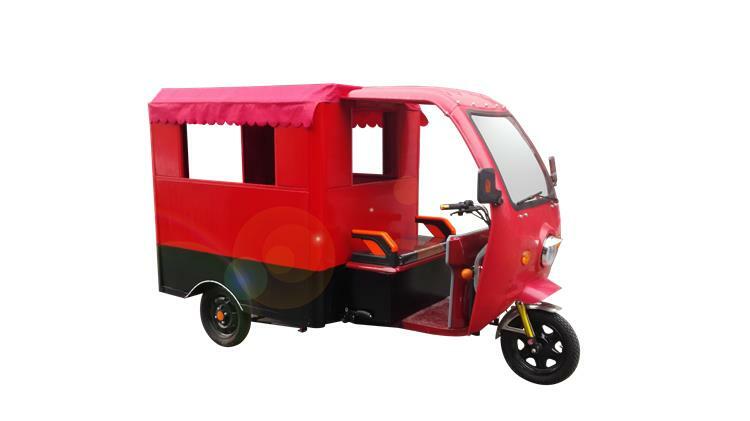 This Three-Wheel Electric Passenger Tricycle is equipped with a fully or semi closed capony, so it can be used for a variety of weather conditions and all seaons. With a super large loading capacity up to 500KG, and a large cargo box, it can carry multiple passengers. There are long benches for passengers. It can also be used for transporting goods.